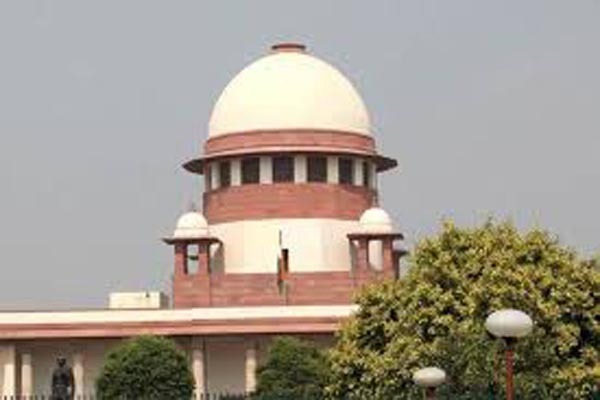 New Delhi(PTI): The Supreme Court today asked the Centre and the Delhi government to clarify by tomorrow who could be held responsible for clearing the “mountain loads of garbage” in the national capital — those reporting to LG Anil Baijal or to Chief Minister Arvind Kejriwal. The top court’s direction came days after its verdict on the power tussle between the Lieutenant Governor and the Aam Aadmi Party government in which it held that the LG has no independent power to take decisions and is bound by the elected government’s aid and advice. “Now, we have the advantage of the verdict. There is mountain load of garbage in Delhi, particularly in Bhalswa, Okhla and Ghazipur. We would like to know who is responsible for clearing the garbage those answerable to the Lt Governor or those answerable to the Chief Minister,” a bench of Justices M B Lokur and Deepak Gupta said. At the outset, the bench asked Additional Solicitor General Pinky Anand, appearing for the Centre, and the counsel for Delhi government, under whose jurisdiction fell waste management. “Under whose jurisdiction does waste management falls. Where is an affidavit on waste management policy? Who is responsible for clearing mountains and mountains of garbage in Delhi? Tell us by tomorrow,” the bench said. Anand said she will file an affidavit by tomorrow on the issue. “The affidavit in this regard should be filed by the concerned officer of both the functionaries by tomorrow. For this purpose, list the matter on July 12,” the bench said. During the hearing, the court observed that Delhi is getting buried under mounds of garbage and Mumbai is sinking under water, but the government is doing nothing. It also slapped fines on 10 states and two union territories for not filing their affidavits on their policies for solid waste management strategy. “You see, Delhi is getting buried under mountain loads of garbage and Mumbai is sinking. But yet, the government does not do anything. When the courts intervene, we are attacked for judicial activism. We are given lectures on separation of powers and encroachment of jurisdiction,” it said. On March 27, the top court had said that days are not far when garbage mounds at the Ghazipur landfill site in Delhi will match the height of iconic 73-metre high Qutub Minar and red beacon lights will have to be used to ward off aircraft flying over it.